Bindu Rathore is a renowned marketing strategist and co-founder of the WebTotal Marketing (WTM) and Peak Performance Trainings. Bindu's passion, like her mission, revolves around branding, digital marketing and Corporate Trainings. She puts heart in building marketing strategies using Internet technologies and Human Psychology that helps in enhancing the brand value, attracting more clients and building everlasting relationships.As a brand specialist, she positions companies, products and services as strong and effective brands in minds of consumers. She develops brand strategies. What keeps her going in this is a holistic approach to brand communications so that a company's brand touch-points (corporate identity, product design, website, retail environment, online marketing, traditional advertising, PR and word of mouth) all work in harmony to create a favorable perception in the minds of the prospective clients. And this can positively affect purchase behavior. Her focus on the mind, perception, cognitive psychology, human nature and brain science to form a deep understanding of how people think and what makes them do, buy and love the things they way they do. She also briefs and manages branding consultancies, Companies over Branding , Positioning, and building up the organizational culture and delivering the same to the customers at all the touch points. Being a certified psychology trainer helps Bindu to ensure employees and close stakeholders of an organization completely understand the organization's brand and, what it stands for and to make sure that their activities on a day to day basis are coming alive in that brand for what the customers experience. Her Cross cultural awareness training deals with the manifestations of culture in the workplace and has many applications. Her main purpose is to evaluate and constructively tackle the challenges and better equips the participants with the key skills that will help in building successful business relationships. Her training style is unique combining corporate experience, case studies, The psychology of trainings is to bring out the best in the participants. 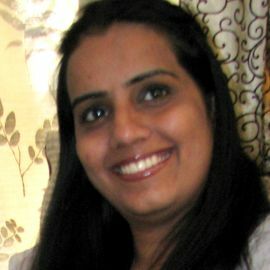 Bindu has a Masters in Business Administration from reputed business school and is an alum of the prestigious Indian Institute of Management (IIM), Indore. She is also a Certified Directive Communication Psychology trainer accredited by American institute of Business Psychology. Regional Director (South Asia), MVA Asia Ltd.
CEO, Harish Bijoor Consults Inc.